User Manual for Individuals After submission, your specific resume will be shown on the landing page. You can choose to edit, forward, preview or delete the resume, or choose to create or upload a new one. 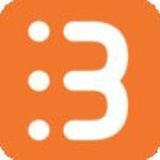 Edit Editing specific resume allows you to edit minor details to make it even more targeted and specific to the target audience. This is an optional process if you feel that the current one is adequate. 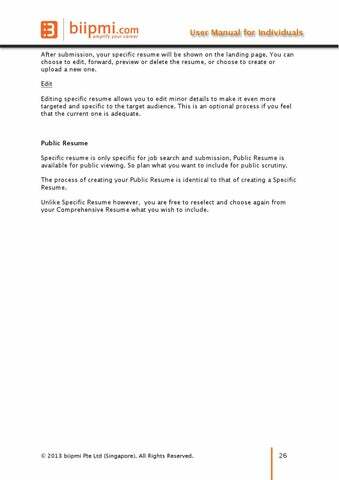 Public Resume Specific resume is only specific for job search and submission, Public Resume is available for public viewing. So plan what you want to include for public scrutiny. The process of creating your Public Resume is identical to that of creating a Specific Resume. Unlike Specific Resume however, you are free to reselect and choose again from your Comprehensive Resume what you wish to include.